1).The Motor Vehicle Act______ was replaced by the Road Transport and Safety Bill 20105. 2).In _______, Government of India has planned to train 500 million persons under skill development and entrepreneurship scheme? 3).In How many districts does the Direct Benefit Transfer for LPG consumer Scheme called ‘PAHAL’ was started? 4).How many new educational institutions of higher learning was planned to open by the Ministry of Human Resource Development in Various States? 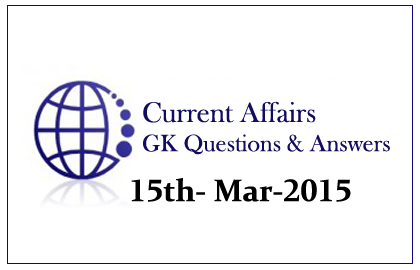 5).Law Commission has recommended the amendment of the Tea Act______, in its 159th Report? 6).What is the name of the new scheme that was started by the postal department? 7).When was the National Mission for Manuscripts (NMM) was established? 8).Government of India has approved the NEBPS, Here ‘NE’ stands for_________. 9).Lok Sabha has passed the Whistle Blowers Protection Act in _______. 10).In recent days, there is a controversy in the dress code for Judges of CAT. Here in CAT, ‘A’ stands for_______.